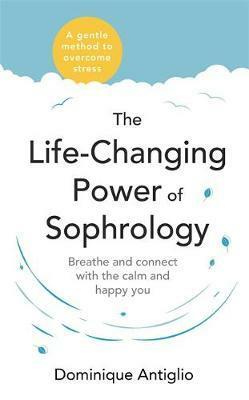 In a world that can sometimes feel overwhelming, this comprehensive guide on the practice of Sophrology will help you access your inner resources and transform the way you deal with your daily life. Sophrology, a popular self-help method in continental Europe, uniquely combines Western science and Eastern wisdom to help you manage stress, sleep better and discover mindful living. By following the simple yet dynamic exercises in this unique book, you will discover how breathing, relaxation, body awareness, visualisation and meditation can bring balance to body and mind, and help you reach a calm and positive state in consciousness. Dominique Antiglio is a Swiss Sophrologist based in London who experienced first-hand the benefits of Sophrology at an early age and has a background in Osteopathy. She passionately uses the mind-body connection in order to support people with stress, assist those who need to prepare for big life events, and to help individuals fulfil their true potential. Now you too can benefit from the power of this tried-and-tested mind-body system. Follow Dominique's daily 10-minute programme to discover the secret 'superpower' of Sophrology and find energy, purpose and serenity. Plus: Includes audio downloads recorded by the author to help guide your practice. Dominique Antiglio is a qualified and globally sought-after Sophrologist, founder of BeSophro, a leading Sophrology clinic in London, UK with an online platform, that specialises in stress and anxiety management, self-development and birth preparation. Born in Switzerland, Dominique was introduced to Sophrology at 15 years old to overcome health issues, learning early on the ways to positively connect with herself and embrace a new way of living. She gained her Masters in Caycedian Sophrology (2006) notably training with Professor Caycedo, the founder of the method in Spain. She is a graduate of the renowned European School of Osteopathy in Kent, UK, ran a successful osteopathic clinic for a decade, and holds a Holistic Voice Diploma (UK). In 2011, having witnessed so many positive changes through the power of Sophrology for herself and her clients, she moved to London and founded BeSophro to support and inspire people in finding a calmer and happier life through the practice of Sophrology. Her best-selling book, The Life-Changing Power of Sophrology, is the first widely published book on Sophrology in English and is now a leading authority on the subject, having also received an endorsement from Sir Anthony Seldon. It has been instrumental in spreading the practice beyond continental Europe. Dominique's expertise is regularly sought in the media and her work has been featured in the Times, The Guardian, ELLE and Marie-Claire among others. She is also a regular workshop host and speaker. To find out more about BeSophro classes, workshop, and online programs or join Dominique's community, visit www.be-sophro.co.uk.